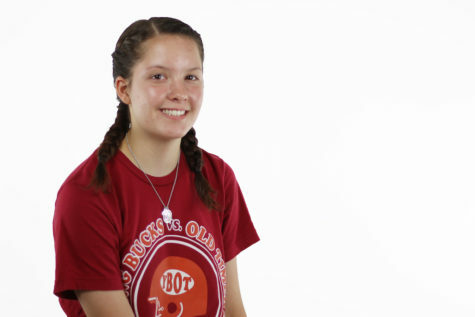 Sophomore Jackie Carroll is excited for her first year as part of the Lovejoy News Network. Drawn to the camera, Jackie hopes to bring to the table her love of all things video and the experience she’s gained from attending journalism workshops. Aside from video journalism, Jackie loves to spend time outdoors, and she occasionally takes her GoPro along to document her endeavors. She is constantly strumming on the guitar or picking out tunes on various instruments, much to the annoyance of the rest of her family. She also plays cello in the orchestra and wakes up way too early to swim every morning. Alongside her triplet brother and sister, Jackie is preparing to take on the world one early morning at a time, wearing brightly colored jeans and rocking French braids.